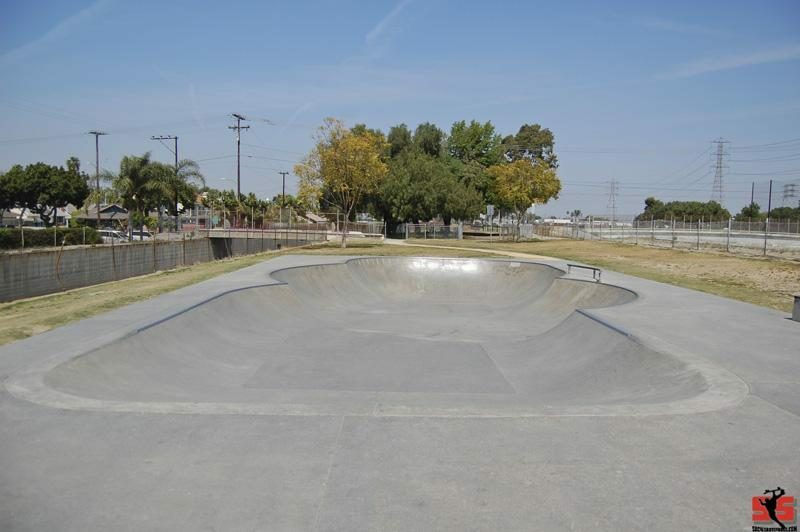 Nestled next to the San Gabreil River, the Bellflower Caruthers skate park has an isolated feel to it. 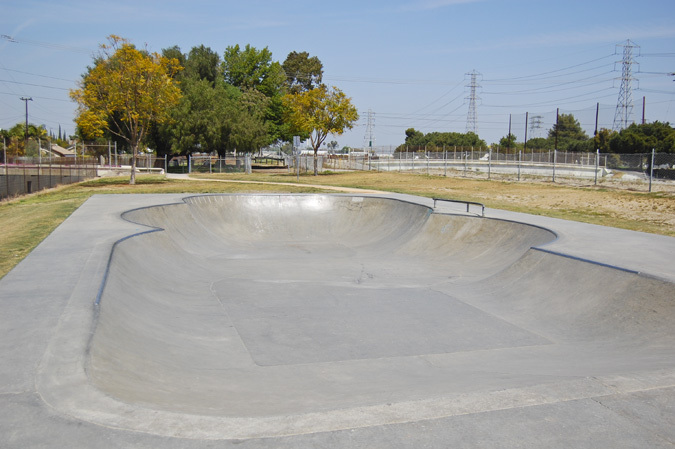 The park is relatively small and features a fun mellow little bowl that ranges from 1' to 4'. The bowl is relatively long with several hips and makes for generating some interesting lines and hip transfers. The street reservoir area of the park features 4' banks,stairs,rails,ledges a pyramid, and the rest of the usual stuff. The concrete and metal coping throughout the park is smooth and fast and overall the park seems to be well maintained by the city.